Black Mass, although decent enough, is a disappointment considering the subject and a well rounded and respected cast headlined by the versatile Johnny Depp. However, in the end it felt underwhelming and pedestrian which is a shame as filmmaker Scott Cooper could be a respectable director. Plot Synopsis: In 1970s South Boston, FBI agent John Connolly (JOEL EDGERTON) persuades Irish mobster, and childhood friend, James “Whitey” Bulger (JOHNNY DEPP) to collaborate with the FBI in order to eliminate their common enemy: the Italian mob. The film tells the story of this unholy alliance, which spiraled out of control, allowing Bulger to evade law enforcement while escalating his power to become one of the most notorious gangsters in U.S. history. 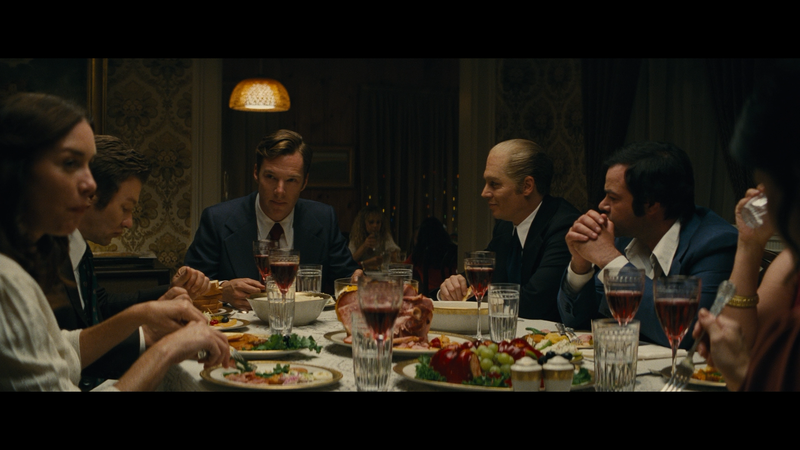 On the surface, Black Mass seemed like a top-notch crime-drama with an all-star and very talented cast. There were plenty of similarities with Scorsese’s The Departed unfortunately this never lives up to the expectations and it’s easy to see why it didn’t garner much award consideration that I’m sure the studio was hoping for. That being said, even as a B-level mobster flick, it does hold some entertainment value and never drags or becomes dull. One of the biggest reasons is, unsurprisingly, the performance from Johnny Depp, transforming himself into Bulger who is as modern day, and vicious, mobster as John Gotti, and is a tad more recent with his capture only a few years ago after 12 years on the run. 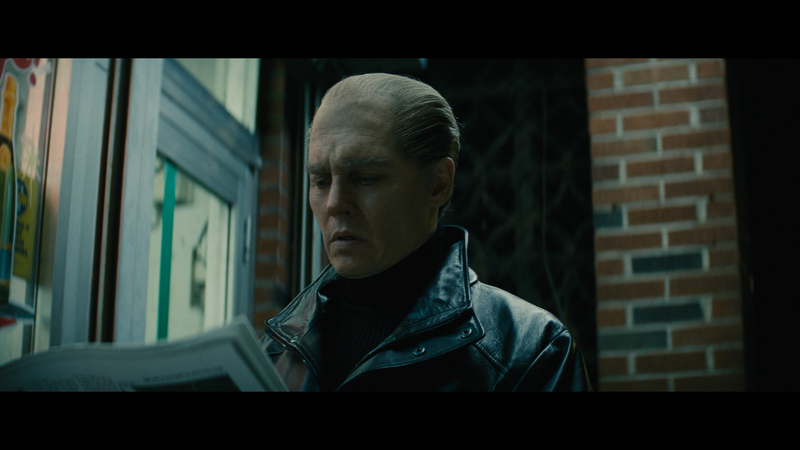 The make-up work isn’t entirely the best but Depp gets lost in the role and combined with his cold-blooded blue eyes (contacts presumably), he rightfully portrays Bulger as a frightening figure. However, we also get a glimpse into his personal life such as how the deaths of his son and mother turned him into an even more violent figure and his relationship with his politician brother, Billy Burger (BENEDICT CUMBERBATCH). The other standout is Joel Edgerton who plays Agent Connolly, a man so corrupt turning a blind eye to Whitey’s horrid crimes including several murders all to line his own pockets and rise to fame within the FBI and convincing others around him that Whitey was a major asset including his own partner, John Morris (DAVID HARBOUR), and his boss Charles McGuire (KEVIN BACON). 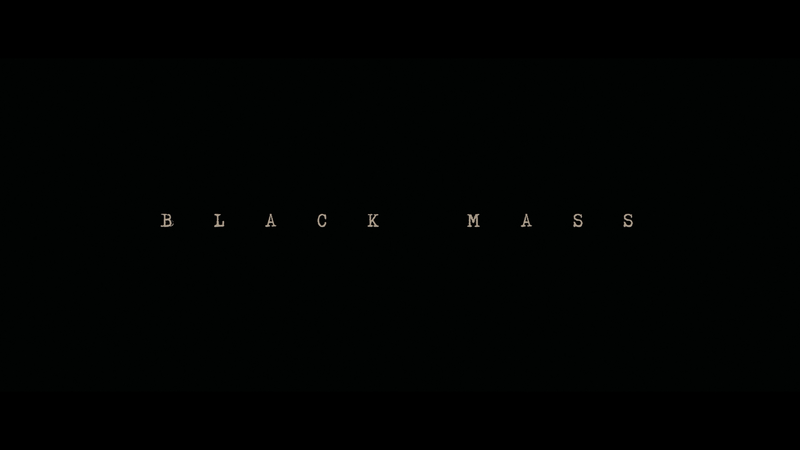 Black Mass was helmed by Scott Cooper, a director on the rise responsible for 2009’s Crazy Heart, itself known for an amazing performance from Jeff Bridges who would go on to win an Academy Award. But as good as the acting has been in his three films (Out of the Furnace, bleak as it was, still had solid outings for Christian Bale and Casey Affleck), none of them quite reach the levels that they could have. Here, this was poised to be on the same playing field, or within reach, of the likes of The Departed but falls far short. I can’t place my finger on why but it compared with Departed or Goodfellas it is rather pedestrian in spite of an amazing cast. In the end, as flawed as Black Mass might be and it doesn’t take advantage of an interesting, if not brutal, character of Whitey Bulger, who was one of the most vile human beings amongst others in the mobster line, is kept at arms lengths in spite of a fascinating true story (though from what I understand, there are some real pieces of fiction strewn throughout) of an FBI agent getting into bed with someone like Bulger and Bulger utilizing it to serve for his own growth and infiltration into South Boston’s criminal empire. This release comes with a matted slip cover and inside is the standard DVD Copy and the redemption code for the Digital HD copy. 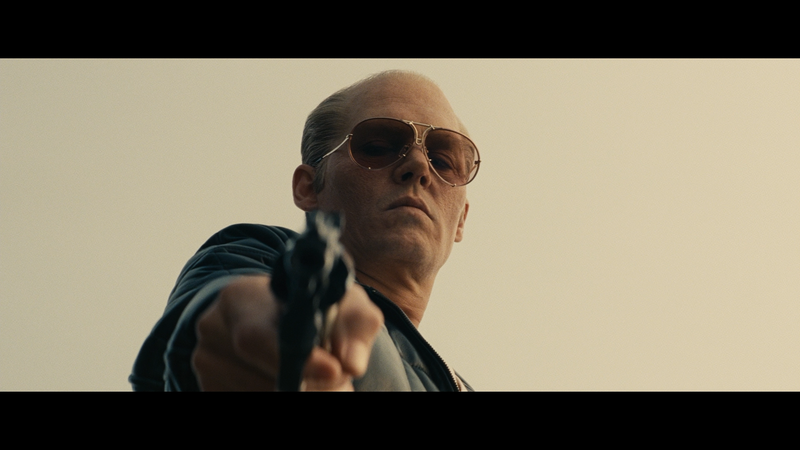 Black Mass: Deepest Cover, Darkest Crime (23:00; HD) looks at the making of the film and features interviews with the cast and crew talking about their characters and the plot. Johnny Depp: Becoming Whitey Bulger (12:24; HD) shows the process the actor made transforming into Bulger including the make-up. It’s pretty basic, interspersed comments by Depp with footage from the film. The Manhunt for Whitey Bulger (1:01:38; HD) is a documentary on Bulger and how he was ultimately captured. Warner Home Video unleashes Black Mass onto Blu-ray presented with a 1080p high-definition transfer and show in its original 2.40 widescreen aspect ratio. The detail looks amazing, sharp and natural appearing with the skin tones while colors are generally bright without seemingly blown out or oversaturated. There were no noticeable instances of artifacts or aliasing so it seems to be a well balanced HD transfer. The DTS-HD Master Audio 5.1 track is more than solid for a movie of this type. Outside of the occasional gunshots or thriller-centric sequences, the bulk of the film is either filled with dialogue or a score from composer Tom Holkenborg (formerly known as Junkie XL), which sounds nice and clear throughout. It’s nothing I’d call robust or anything but it gets the job done providing a well rounded lossless track. 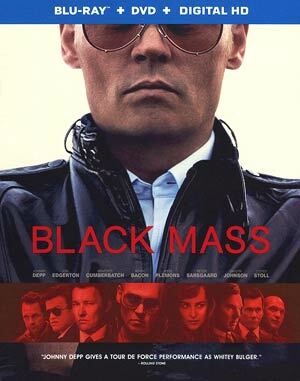 Overall, Black Mass, although decent enough, is a disappointment considering the subject and a well rounded and respected cast headlined by the versatile Johnny Depp. However, in the end it felt underwhelming and pedestrian which is a shame as filmmaker Scott Cooper could be a respectable director. The Blu-ray itself is OK with good video and audio transfers but the features have much to be desired.